ONE: CALL TO GREATNESS is packed with phenomenal strikers who will take part in ONE Super Series and mixed martial arts contests on Friday, 22 February. 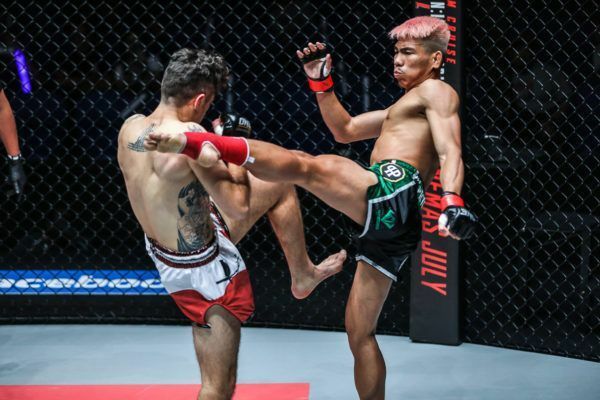 Singapore Indoor Stadium will host more than a dozen fascinating contests, including the inaugural ONE Atomweight Muay Thai World Title bout between Stamp Fairtex and Janet “JT” Todd, and two quarter-finals in the highly-anticipated ONE Lightweight World Grand Prix. With so many world-class athletes taking part, there will be no shortage of action however they play out, but keep a close eye on the striking exchanges because a number of knockout artists are on the bill. Here are five of the best knockouts from the stars set to compete in The Lion City. 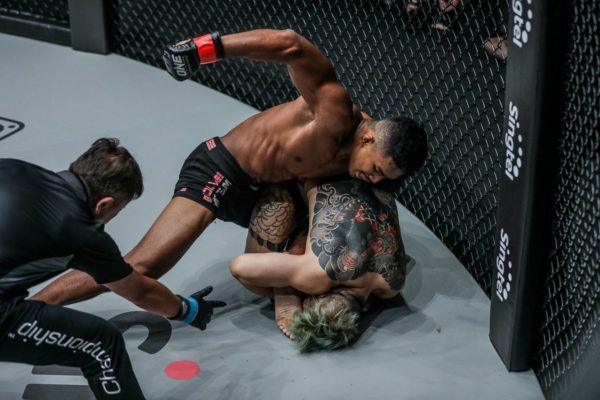 Singapore’s own Amir Khan has proven his striking prowess with his record for the most knockout victories in ONE Championship history. Perhaps the most memorable one came against Czech athlete Jaroslav Jartim at ONE: SHANGHAI. 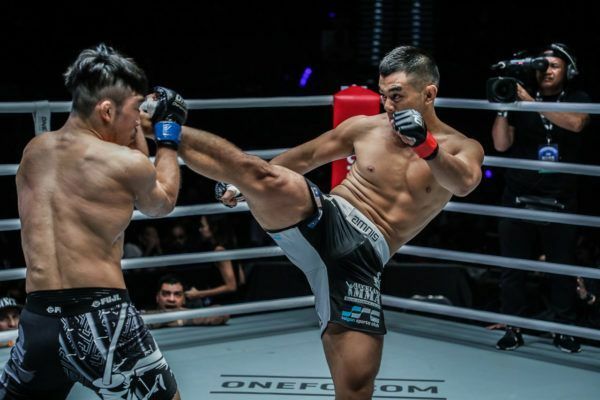 Khan pushed his rival back with a stiff left hand from the southpaw stance, and as Jartim stepped back in to engage, the Evolve representative switched his attack up with a left high kick, which scored a direct hit on his adversary’s jaw. A dazed Jartim tried to swing back, but in doing so, he exposed himself to Khan’s right hand, which found its mark and dropped him to the canvas in a heap for an emphatic KO victory. Khan will face off against submission specialist Ariel “Tarzan” Sexton in one of the two ONE Lightweight World Grand Prix quarter-finals in his home city. "E.T." with a MASSIVE kick out of nowhere! Ev “E.T.” Ting and Edward “The Ferocious” Kelly are both heavy hitters, and this was evident when the pair duked it out at ONE: ROAR OF TIGERS. They traded leather with everything they had, which hinted the bout could end at any moment. The contest had made it into the closing stages of round two, but when Ting clipped Kelly with a left hook at the end of a combination, the Team Lakay representative was too eager to return fire and opened himself up to a decisive blow. He started to dip for an overhand right, but as he cocked the punch, he let his left hand slip. “E.T.” timed it perfectly, and launched a high kick at his oncoming opponent. “The Ferocious” had nothing there to block the shin, and the impact on the side of his head sent him face-first to the canvas. Ting will take on Saygid Guseyn Arslanaliev in the other ONE Lightweight World Grand Prix quarter-final on 22 February. What. A. Finish! Saygid Guseyn Arslanaliev takes out Timofey Nastyukhin with a crazy combination at 1:57 of Round 1! Saygid Guseyn Arslanaliev met the toughest opponent of his career to date in hardened Russian battler Timofey Nastyukhin, which made for an explosive clash between two extremely tough lightweight contenders. Despite the power that both men possess, many fans expected a long war of attrition, but “Dagi” took his chance to finish the bout in the opening stanza with a stunning TKO. He had Nastyukhin against the cage with a single-leg takedown attempt, and when the Russian posted with his right hand to regain his footing, Arslanaliev struck. With Nastyukhin’s arms occupied, Arslanaliev unleashed a salvo of left hands that landed flush on the jaw. With Nastyukhin hurt from the lefts, “Dagi” released the leg and let rip with a barrage of punches on the fence to seal the deal. The Dagestan-born athlete will be hoping for another stoppage victory against Ting in The Lion City. Nieky Holzken turns the lights out on Cosmo Alexandre with a HUGE uppercut at 2:59 of Round 2! Nieky “The Natural” Holzken is one of the most accomplished strikers on the planet, and fans were excited to see his ONE debut against an elite opponent in Cosmo “Good Boy” Alexandre. In their ONE Super Series kickboxing rematch at ONE: WARRIOR’S DREAM, Holzken pushed the pace from the beginning. He overwhelmed “Good Boy” with hard hands and punishing kicks that sent him to the canvas twice in round one. In the second stanza, “The Natural” kept up the intensity and a spinning heel kick followed by a front kick pushed the Brazilian backward. Holzken then darted in with a right hand that dazed his foe, and then connected with a thunderous uppercut that ended Alexandre’s night. The man from the Netherlands returns against Mustapha Haida on 22 February. Mustapha Haida defeats Daniel Dawson with a dynamite KO at 2:14 of the third round! Mustapha “Dynamite” Haida and Daniel “The Rock” Dawson engaged in 2018’s finest ONE Super Series battle at ONE: BEYOND THE HORIZON, which was capped with a finishing blow worthy ending any contest. Deep into the final round, Haida still had the gas left in the tank to throw with extreme velocity. First, a stepping left knee landed that got Dawson’s attention, and the Italian followed it up with a solid straight left to the top of the skull. Clearly hurt, “The Rock” tried to cover up against the ropes, but “Dynamite’s” laser-guided left found a way through and straight to the chin, and knocked Dawson out inside the final minute. Haida will make his second ONE appearance opposite Nieky Holzken at the Singapore Indoor Stadium.